Heat oil in pan , add mustard seeds , when they splutter , add chana dal ,urad dal and saute for 1/2 minute, add dry red chilli , hing ,curry leaves and mix well. Add chopped green chilli , garlic paste ,ginger paste and saute for 1 minute. 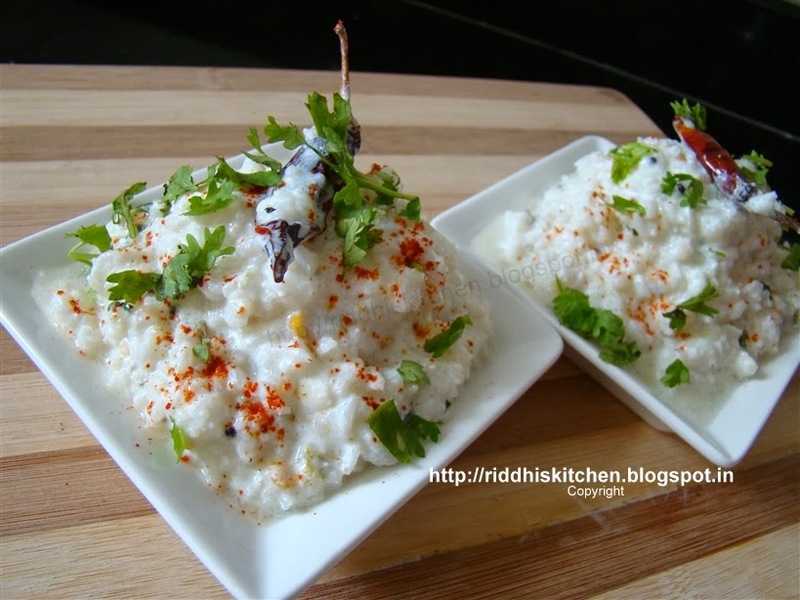 Add boiled rice mix well .add salt and curd and mix well .cook for 1 to 2 minutes. Garnish with fresh coriander leaves , and sprinkle red chilli powder. Thank u so much :) Try This .